Amahl and the Night Visitors, Gian Carlo Menotti’s stirring opera about a crippled shepherd boy and three kings, was TV’s first Christmas tradition, creating a sensation with its debut on Christmas Eve 1951. Broadcast yearly into the mid 60s, Amahl - as is the case with so many programs from the early years of television - has disappeared into the fogs of the past, unseen on network television since the late 1970s. Mitchell Hadley, who chronicled Amahl’s origins for TV Party (here's the link to the story: http://www.tvparty.com/xmas-amahl.html), now brings us up to date with a review of the only commercially-available DVD from the opera’s classic early years. The Christmas opera Amahl and the Night Visitors occupies a rich spot in television history: its live broadcast on December 24, 1951 was the first broadcast of the Hallmark Hall of Fame, the first opera ever written specifically for television, the first program to be broadcast in color (in 1953). It became an instant sensation after that initial showing, and due to public demand was again done live the following Easter. It was the first Christmas tradition for the young medium of television, broadcast every year from 1951 to 1966, (often on or near Christmas day itself), and only ended its run when Gian Carlo Menotti , the prickly composer, withdrew his permission due to a dispute with NBC. The brief opera, which runs less than an hour, tells the simple but charming story of a crippled shepherd boy and his widowed mother, living in poverty, who are visited one night by three kings following a star. It’s become a mainstay of amateur and regional opera companies, and is generally considered the most frequently performed opera in history. And yet despite all this, Amahl had, through the years, fallen into something of a memory hole. It was, in short, a terrific subject for an article, and so I set out to write one, which became the TVParty story “Three Kings in 50 Minutes.” But, as I started my research, I ran into a bit of a challenge. You see, I’d been too little to appreciate it when it was originally on television (I was only six when it ended its long initial run), which meant that I was dependent on the archival video material available. Which wasn’t much. Sure, there had been a 1978 revival broadcast with a top notch cast that included famed singer Teresa Stratas that had come out on VHS, but even though the production had been done with the approval of Menotti, it bore virtually no resemblance to the original broadcasts. It had the look and feel of a filmed movie (which it was, with many scenes shot on location in the Holy Land), and unlike the original live versions the singers lip-synched to recorded music. As a movie it might have been fine, but it lacked the immediacy and drama of the studio versions that had been the hallmark* of the 50s and 60s broadcasts. Which, surprisingly, had never been released commercially. *No pun intended. The initial 1951 broadcast did exist; it was a fairly constant presence on the bootleg market, and it could be viewed on streaming sites such as that of the Museum of Broadcasting in Chicago, or in person at the Paley Center in New York, so it wasn’t too hard for me to get a copy to watch (for research purposes only, of course). It had never had a legitimate release, however, and while I had come up with plenty of written information to put out a good story, it felt like there was still something missing. Imagine my surprise, then, when just two weeks before the deadline for the article, VAI came out with a DVD release of the live 1955 NBC broadcast of Amahl. As soon as I read about it I dropped whatever I had been doing at the time and bought it, and today I cannot imagine having finished that article without it. True, it’s not the cherished world premiere, and while the original broadcast was in color, only the black-and-white kinescope of the 1955 survives. Nonetheless, in every significant way this 1955 version can be considered the definitive televised version of Amahl available today. For one thing, the production itself – the blocking, sets, costumes and choreography – are the same as those used in 1951. 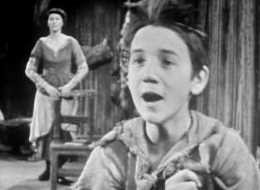 So is the cast, with the sole exception being the title role of Amahl, where Chet Allen, the boy soprano who originated the role, had given way to Bill McIver, making his fourth and final appearance. McIver, along with Rosemary Kuhlmann as Amahl’s Mother, Andrew McKinley, David Aiken and Leon Lishner as the Three Kings, and Francis Monachino as their Page, are by now fully in command of the story, and their familiarity with both the roles and each other show in their polished performance. *In fact, up until the controversial 1963 version, the production and cast (with the exception of the boy soprano playing Amahl) remained consistent for every broadcast. The pivotal moment when the Mother, seeing the riches the Kings plan to bring the Child, thinks of the good that they could do her. (Aria: "All That Gold"). She is caught, but when the Kings tell her she can keep the gold, she declines, telling them that if this Child truly is the King they say He is, then He is the King she has been looking for as well. In addition, [on the DVD release] there’s a wonderful interview with graceful Rosemary Kuhlmann in which she shares anecdotes about her experiences on Amahl (for example, scenes she’d originally had to perform on her knees when McIver first started playing Amahl were by 1955 no longer a program since McIver was now as tall as she was), and the disc comes with a terrific little booklet that gave me all kinds of small details on the behind-the-scenes drama of the broadcast. Because of the opera’s short length – less than 50 minutes – and the fact that it was presented without commercial interruption, the remainder of the hour time slot was traditionally filled by the Columbus Boychoir* performing Christmas carols, and this part of the broadcast is included as well. 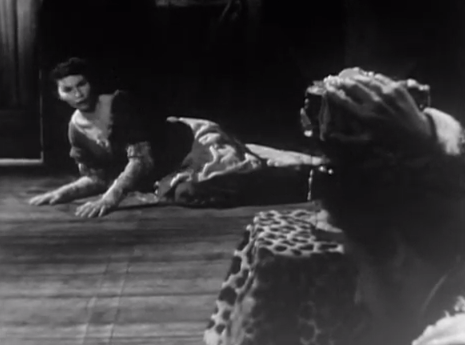 Optional subtitles are also available, and I’d recommend using them – when it comes to opera, English can be a notoriously difficult language to understand, and though Menotti’s music never overwhelms the singers, subtitles do provide viewers with the clarity to appreciate the beauty of Menotti’s libretto. *The Boychoir, now known as the American Boychoir, was one of the most famous of its kind; Chet Allen and Bill McIver were both members. So the 1955 broadcast is a terrific version of Amahl, one that should be part of anyone’s Christmas collection. Don’t let the fact that it’s an opera scare you off – you don’t have to be an aficionado of opera, or even a particularly pious person, to appreciate it. Menotti wrote it for children, after all. All you have to be is a fan of good television, and a sucker for a good Christmas story. I still think it would be a good idea for Hallmark to release the original 1951 version*, if they’re able to maneuver through the legal mindfield of copyright and publication issues that have prevented any recent broadcasts of Amahl (including at early 2000s version by the BBC that was shelved for that very reason and remains unaired to this day) – it would certainly beat the dreck they put out today. 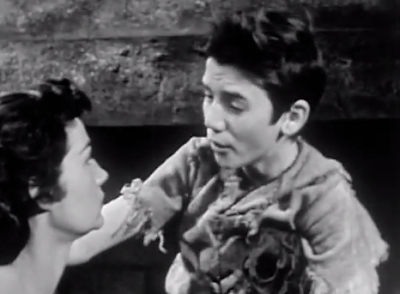 *The 1951 broadcast includes an introduction by Gian Carlo Menotti himself, who discusses briefly the origins of the story and introduces Schippers, Browning and Berman on camera, and features a charming performance by Chet Allen, who fully justifies Menotti’s decision to cast a boy soprano in the lead role rather than a more experienced adult female, as is done in many operas with young boys as characters – Hansel and Gretel, for example. It may be hard to appreciate today, when both religious and cultural programs have more or less disappeared from mainstream broadcasting, but in an era when opera was an accepted as part of middlebrow American culture, the unabashedly religious Amahl, moving without becoming awash in Hallmark-style sentimentality, became a cherished Christmas tradition for many viewers. The loss of programs like this is to the detriment not only of television, but all of us. Thanks to companies like VAI, however, we can still keep the memories alive, and pass the traditions – and the understanding of Christmas – along to future generations. Mitchell Hadley, who makes it a point to watch Amahl every Christmas Eve and thinks you should too, blogs about classic television at ItsAboutTV.com. I remember AMAHL from my childhood; it was required watching! What was so controversial about the 1963 version? Did I miss it? NBC scheduled the taping at a time when Gian Carlo Menotti was to be in Europe. Menotti was very much hands-on with Amahl, and if there was going to be a new production he wanted to be there to supervise it. NBC refused to reschedule, with the result that the new production went on without his participation. Menotti was irate, demanding that NBC scrap the tape and redo it with his involvement. NBC countered that they'd invested too much in the production, and that the ratings had actually improved over the previous year's telecast. There was nothing Menotti could do about it at the time - since NBC had commissioned the opera from him originally, they still had control over the broadcast. But when those rights reverted to him in 1966, he announced that he was withdrawing permission for NBC to broadcast the program. He relented in time for the '66 showing, but that was it - Menotti severed his relationship with NBC (he'd been a regular contributor to NBC Opera Theatre), and refused to allow further broadcasts. He was involved in the 1978 production, but that was not studio-based and, I think, lacked the charm of the earlier broadcasts. As far as I can tell, although Menotti referred to the 1963 version as "terrible" and a "bad" production, there was nothing particularly avant-garde or unconventional about it. Menotti may not have wanted to see his original production scrapped and cast replaced, or he may simply have wanted to continue to oversee it. Either way, the controversy created quite a sensation at the time, and that was the reason for Amahl's disappearance from TV. i remember it from my childhood also....but during the 1960s. i would love to see this back on television again. some cable channels have been doing a lot of more religious themed mini-series these days....i wonder if any of them would be willing to take this on live or do some rebroadcasts of the originals? I agree - it would be wonderful to see again. Back in 2001, the BBC ran into an issue when they filmed a lavish version of Amahl but then were unable to broadcast it because they'd neglected to get the rights from the rights holder, which I think is G. Schirmer, the publisher of the score. The BBC had to shelve the production; it was apparently broadcast the next year, but there's never been a DVD release of it. It could be, therefore, that the cost of acquiring the rights is prohibitive for a non-broadcast network. I doubt that any of the over-the-air networks would have any interest in doing it (it's probably considered too religious, for one thing), but I share your curiosity as to whether or not a small cable network might be able to work out a deal with VAI to air the 1955 version. It goes into my to-do list to see if I can find out more information! Sad, when a Opera commissioned especially for Christmas becomes "too religious" for Broadcast Television..
tim, i so agree! we are missing out on some wonderful christmas programming that many of us grew up with and would love to be able to share with our own children. Indeed - I was writing up a December 1961 TV Guide for Saturday's entry on my blog, and it's striking how much more inclusive of religion TV was then. Both Perry Como and Bell Telephone Hour had readings of the Nativity according to St. Luke, and NBC's Project 20 did a half hour on art depicting "The Coming of Christ." Outside of the religious networks, it is difficult to imagine mainstream programming like this today. I'm always glad to hear about that. "Amahl" has frequently been referred to as the world's most performed opera, and it's terrific that the tradition is being kept alive there! A fascinating account, and a welcome explanation about why this work isn't on TV. Thanks, Mitchell Hadley.